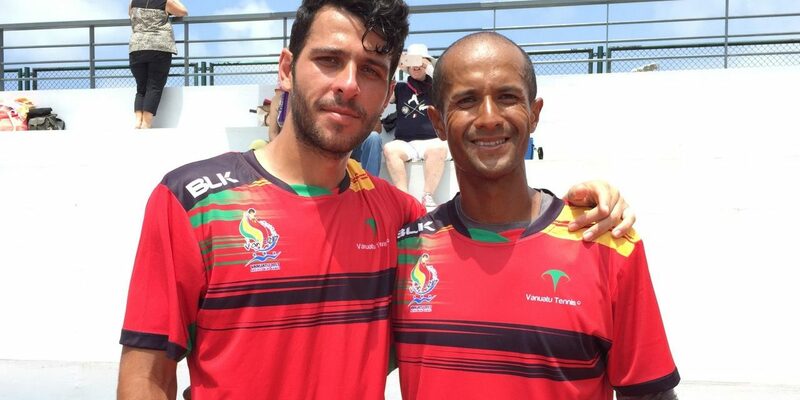 Vanuatu’s Aymeric Mara and Cyril Jacob won gold in the Vanuatu 2017 tennis men’s team event doubles on Saturday, comfortably beating Fiji’s CJ Beg and William O’ Connell 6-2, 6-2 in the final. Vanuatu finished with a flourish, with two aces in the final game as they were serving for the match. Mara told the Vanuatu 2017 Games News Service that he and Jacob, his cousin, have formed a strong partnership. “We have done really well, we are a very solid team,” Mara said. “Me and my cousin when we play, we understand each other and how we play and how to get the team going. “We are very happy about winning but mainly about winning on home ground. It’s good to be home and have the home crowd with us. The win got the morning crowds cheering at Korman’s tennis complex, where the men’s and women’s singles events also began on Saturday.